Last weekend two of the largest American racing series brought their haulers and million dollar race cars to the racing center of the world – Baltimore, MD. Funny thing is that no one seemed to care. The few overhead shots broadcast on TV showed more unoccupied seats than occupied for both the ALMS and the IndyCar races. Why race in Baltimore when there are so many great tracks in North America? What’s wrong with Watkins Glen or Montreal for example? 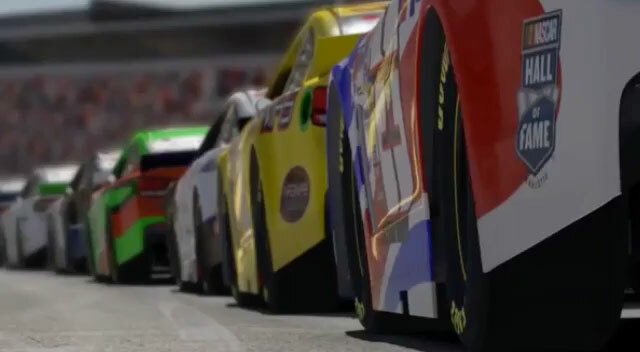 Seems like both series were trying to bring the racing to the fans – too bad there aren’t many fans in Baltimore. Maybe the race fans know that the Baltimore street circuit is a Mickey Mouse track (my apologies to Mickey Mouse). It has virtually no sight lines for the fans to watch the action, a ridiculous chicane in the middle of a straight that is so poorly designed the drivers have to bypass it just to start the race, multiple surface types that make it impossible to setup a car properly and extremely tight corner radii that inevitably lead to crumpled race cars. Evidently the front straight is very tricky too as six or seven ALMS cars had their races ended before taking the green flag. I could go on and on about everything that is wrong with racing in Baltimore but it’s not all that fun beating a dead horse. I do have to mention this other small sanctioning body that has figured out one of the key ingredients to a good road course race – a good race track. Click the image to see what happens to Max. NASCAR brought a bunch of pickup trucks to Canadian Tire Motorsports Park (formerly known as Mosport) and put on a heck of a show. Great racing, a close finish and even a driver getting slapped by another driver’s girlfriend. Seriously, you can’t make this stuff up. It was by far the best road race of the weekend. Sure there was a crappy pass at the end of the race that should have resulted in a penalty but at least NASCAR is consistent with their non-calls – have at it boys. IndyCar is so inconsistent that one of their top drivers is demanding the race director be replaced immediately because he seems to decide penalties by shaking the IndyCar magic eight ball. 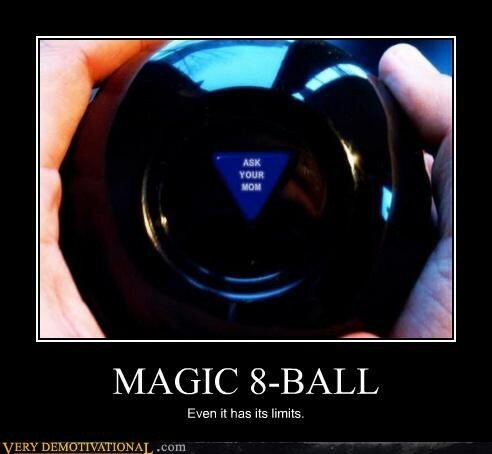 Driver runs over pit equipment during a race, a clear violation of the rules – magic eight ball says no penalty. Driver makes contact with a crew member of another team who may have been impeding progress, all while exiting pit box that wasn’t clearly marked in the first place – magic eight ball says drive through penalty which cost the driver the win. Driver makes abrupt lane change during cramped restart and takes out another driver – magic eight ball says no penalty and forgets to tow back one of the damaged cars for repairs. I am sure you can see how effective the IndyCar magic eight ball is.  I don’t have a problem with any one individual call – IndyCar makes the rules and the drivers need to follow them. Just make sure you make the same call each time it happens. As a lifelong sports car racing fan I am less and less impressed with the state of road racing in America . . . but I have to admit I am warming up to NASCAR. Maybe I’ll sell my old Porsche and buy a pickup truck. Kevin Bobbitt is the Director of Marketing at iRacing.com. 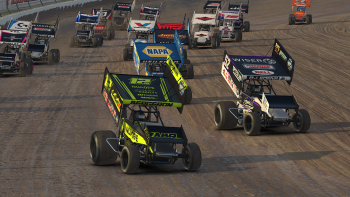 He has been with iRacing since 2007 and is a long time marketing professional bringing more than 16 years of experience in both online and offline consumer marketing to the job. Kevin's commitment to iRacing starts with his passion for motorsports. He is a fan of anything powered by an engine. When not racing on iRacing or watching a race on TV he can likely be found at the track or an autocross site in his Porsche 944S2. 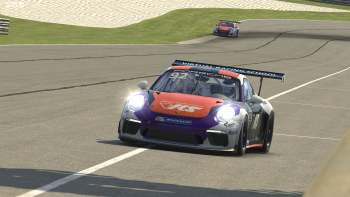 Kevin is also the commissioner, punisher and all around rule maker for the Rennsport Racing League run on iRacing. Kevin resides in New Hampshire with his wife and two boys. That was a very well-written article. Very enjoyable to read. I am really pleased to see NASCAR recognizing how good road racing can be. 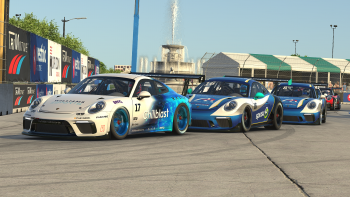 Now that they are getting better, more capable drivers and better handling cars, I hope they start adding more road races to the premier series schedule. I think racing is about culture, and unfortunately I don’t think sports car and open wheel road racing is culturally compatible with America. But NASCAR is, and I hope they do more road racing. NASCAR road racing is not road racing. It’s short track racing with funny looking ovals. 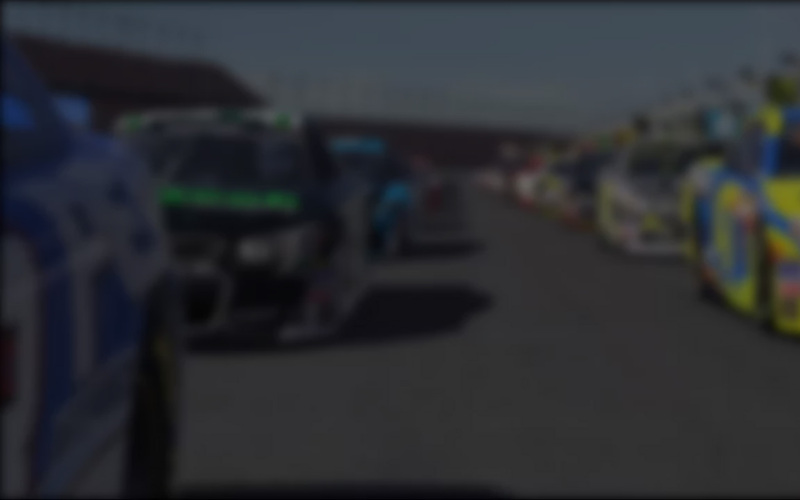 The driving standards in NASCAR road racing events is abhorrent. It makes Grand-Am look civilized. While both the ALMS and IndyCar race were bad this last weekend, Baltimore has produced good races the last couple years. Street racing is what defines the difference between European and American road racing to me. No matter how popular Nascar gets, or how many road coarse races they do its just impossible for it to be as appealing to me as the form and function of a BMW vs Ferrari vs Corvette vs Porsche scenario. It is what historically we know as ‘road racing’ in every country as well as this one. While It is very sad that everything we do here in the US has to be ‘dumbed down’ or have some nightly drama attached to it in order for it to survive, I’m in high hopes that the merger (pushed by NASCAR) will simplify things enough to grow a small dedicated fanbase again. It certainly cant be worst than having 2 leagues of the same sport that nobody cares for. I guess your one of the folks you asked for a kinder, Gentle, ARMY? or Do the scary violent images you see on TV scare you? I agree with the Baltimore race. Go back to Watkins Glenn. It is one of the most Famous road courses in America and everybody loves it. Nobody wants to go to Baltimore to watch an Indy Car race. Many people, when they think of America, think NASCAR. Those same people, when they think of Europe or Australia, think road racing. American road racing just doesn’t have the fan base that oval racing has and, to my knowledge, America is the only country in the world that races ovals. I read a comment on facebook when NASCAR was at Sonoma which read, “NASCAR doesn’t belong on a race track.” (insert facepalm)Most Americans are uneducated in road racing and are therefore hesitant to be involved in it because what could possibly be better than NASCAR? I personally love watching NASCAR road races. It IS road racing because you’re racing on a road course. it’s that simple. Personally, I think a V8 supercar fan base would thrive in the US…if they received more than a weekend of exposure. Indycar in the mid 90’s was the high point I think. Even better than F1. There were so many great races back then. BillManUGA, I’ll just go ahead and assume you never watch DTM or BTCC. Hell I’ve even seen a GT car in ALMS physically push a prototype out of the way in a low speed turn. Let’s not forget the horrible rovals like Kansas. Why choose these venues that no one likes. At least Homestead was a bit more complex; but, then again who wants to visit Homestead? Your magic 8 ball comments are a bit condescending. Had there been no penalty on your 2nd point, you could have written the same complaint as point #1. A clear rule was violated with no penalty. And with point #3, Will Power was penalized for avoidable contact. Check the box score. Totally agree that Indycar would be better served at any of the tracks you named and I think Indycar knows that. Unfortunately money gets in the way sometimes. The rest of the world find racing in around in circles pretty boring regardless of how close the cars are. racing center of the world – Baltimore, MD??? wow you do realise the WORLD includes more than just the USA….. 0_o. im sure many Europeans would state that is just not true. racing centre of the world why do americans think they are the centre of the world? Magic 8-Ball says Kevin Bobitt is a witty, urbane writer. Rarely have a read a story about the current state of racing, and agreed with every point the author made. Baltimore was a sad joke. 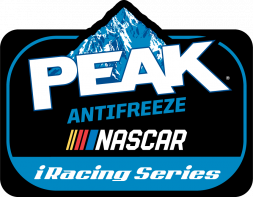 I am a motorsports fan, but i mainly follow NASCAR and I am pleased with the racing, but they NEED to get more Road-racing in. The print cup should look at Road America, and maybe even go back to Road Atlanta. 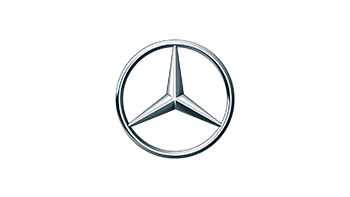 Not only would it bring more fans in it would shake up the competition more and give other team and drivers a chance. Ban the author. He is making negative articles. I can’t take it seriously when somebody states his/her opinion as facts, even without giving any meaning to them. Not all circuits are great, so live with it. To say one race is bad, and tell others the series is bad because of it, what says that about yourself? NASCAR fanboy? Sure looks like it! I’ve never understood why the thing “I” like has to be great and what “you” like has to be so bad. Why can’t we all appreciate all racing?!?! I don’t particularly like Moto GP, but I understand many do and I don’t think less of them for it. I don’t think NASCAR drivers have less skill than road racers. It’s a different set of skills but not better or worse than any other. Drag racing seems to require little skill on the outside but I’m sure they have different skills than other drivers. It all comes to personal preference. On the same lines, why is there such a divide between the US and Europe? Sure the eastern hemisphere has been doing it longer and better and has more of a legacy but that doesn’t make them better as a whole. There is a lot of criticism of our culture that people don’t come out to watch road racing. It’s because you can’t watch it in person. If you want to go and enjoy the atmosphere and see the cars speed by one turn all day then great. I think that’s why NASCAR is so popular… you see it all. Who would like to go watch a football game if you only got to see the players when they were between the 30 and 40 yard lines? People in EU go out to road races because that’s all they have. If they had NASCAR, I think it would quickly become more popular than F1 except to the anti-popularity crusties who probably still have a VCR. Don’t get me wrong, I enjoy road racing more than NASCAR too… on TV. In person, NASCAR is more fun. The point is it doesn’t matter which one I like or you like. It’s all Motorsports and in an age of anti-oil, green everything, political landscape we need to stick together and support all forms of racing. Street courses will always be filled with wrecks and angry drivers. It’s the nature of that type of racing. I guess the networks like it, since they seem to extend the contracts for more races there. And we know the networks is where the money is. I would just say that we should enjoy it for what it is, and don’t get too discouraged with it. Perhaps there aren’t many spectators there, but these races are very entertaining to watch on TV. Sports car racing in North America is in a state of transition this season, so it’s very hard to pass judgement. I would say we should all try and stay positive and see what happens next year with the new USCR. But all is not dead yet. Come see the turnout for the Petite race at Road Atlanta to judge the health of sports car racing in North America. It should be huge. Someone’s Sarcasm Meter is broken. I am a F1 fan living in the UK but I come over each year for the Indy500 not the same as a F1 race on an European circuit of which we have plenty but a very special type of race nevertheless. Still an ever relevant article all these years later, INDYCAR is hemorrhaging fans faster than NASCAR is and that’s saying a lot. NASCAR just had 30k fans in the stands for the Brickyard race and INDY can’t even locate them on the TV dial. Any one with a lick of sense would have known not to go to Baltimore and four years later we know no one with any sense is in charge at INDY or NASCAR, just oligarchs with deep pocketed friends. I’ve thought a lot about why road racing, and racing in general, isn’t more popular in America. NASCAR is the only thing you’re really exposed to unless you actively seek out other types of racing. As much as I hate to say it, I think road racing simply doesn’t work that well as a spectator sport in the modern age. If you go to see it live, you can only see a portion of the track. If you watch on TV, it’s difficult to follow. You can’t pick your favorite car or driver and just follow them around the track. The camera does a horrible job of bringing the action to life, makes things look slow, and skips all over the track so you see cars moving but you have no context. It’s very reliant on highlights and replays. To be fair, it’s a difficult job. Hopefully it will get easier as they continue to stick smaller and smaller cameras in more and more places. If the viewer had the choice of camera views that we get when spectating a sim race, I could see it getting much more popular.